Are you writing a dissertation? Are you looking for help in writing an effective research paper or need help in some of your dissertation chapters? Most probably yes, because that’s why you are on this page and reading this article. Well, writing a dissertation is a lengthy process and you have to go through a lot of research and analysis. It will take many pages of detailed information written in high-quality. It should not only be of high quality but should be easy to read and understand as well. Generally, a dissertation has to be written in the below chapters. This is generally created as per the instructions provided by your department. You have to include your name, your student id, degree, department name, the title of your dissertation title and the submission date. This is generally a short summary explaining the entire dissertation in about 250 to 750 words. It is generally instructed by the department when the student is writing as part of a higher-level degree. This page is written in the last step but generally placed at the top of the dissertation, next to the title page or the abstract because it gives an overall idea of the structure by listing them with their names. Introduction – what your dissertation is all about? This is an explanation of the outline of the dissertation, the topic, and the structure. It should be written in a way that smoothly takes the reader to the main part of the dissertation, i.e. the body. Depending on the subject of the dissertation, this part can be included or skipped. If the subject is about scientific, qualitative or quantitative research, you should include this section in your dissertation. If the subject is theoretical, you don’t need to have this section. With your dissertation, you are either filling the gap or correcting the established notions with the in-depth research and study in the field and the topic. So this section is a must when your paper is focused on the primary research on the topic. However, you can skip this section if your dissertation is covering a secondary or tertiary research. You will be presenting your research and outcomes in several chapters with each having detailed paragraphs in this section. So this is called the main body of your research paper or dissertation. All of them will be focused on the main idea or argument. A conclusion a summary of your viewpoints and supporting arguments you have attained by researching the topic. It should present the real-world applications of the outcomes or the facts you have established with your research and their effects on the field. This is a list of references, resources and the books which you have used for your research. It is very important that you start maintaining it from the day you start preparing your dissertation. This is because you may forget or miss an importation citation if you start compiling it in the last. Appendices are the additional information sections being referred to in the dissertation and include photographs, charts, diagrams, maps, and letters. With this information about how many chapters should a dissertation have and how they are structured, you may be able to write your own now. However, you will still need help if you are not much experienced in writing a research paper or don’t have much time for doing everything on your own. But don’t worry. We will help you in this situation. Read further to know how. We have a list of partners who work in the writing help services field for many years and it has helped them get the first place to visit for the students looking for the help with their dissertation. 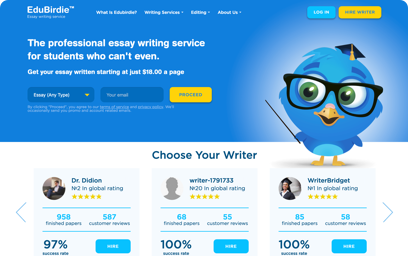 They have been able to do this for all these years just because of employing highly qualified and experienced American writers, and carefully prepared services available at affordable prices. Their writers are experts in their field and have spent many years in training as well as writing their own dissertations. They are capable of taking any challenge. You can ask them to provide full writing help or a help with a chapter of your research paper. Since they are well-experienced, they will help you draft wonderful dissertation chapter keeping in mind the topic and instructions of your department. 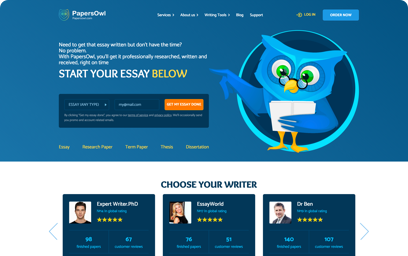 All of these writers are outstandingly proficient in all types of academic assignments and writing styles. So you will never have to worry about any chapter. You can count on them and trust their ability to write the arguments that will strongly support your topic. Quality writing service is crucial especially when you are writing something which will decide your performance in your course and the career. You can find a lot of writing professionals and companies online. But it is very difficult to know who are the best and affordable. You have to consider several things when selecting a writer for writing chapters of your dissertation. You should check how many years of experience they have, the feedback from the past clients, the price, if a writer is a native of English speaker or not etc. The writers of our recommended services pass all the requirements mentioned above and therefore can assure you of the best quality dissertation help service at the most affordable price. They are available round the clock to help you, so you can come to their website anytime to order dissertation chapters from them or ask if you have any question. Since you are spending money on an online service, you would expect a prompt response, the best quality, and on-time delivery. And that’s why we consider the customer service a core aspect of our partners’ success. 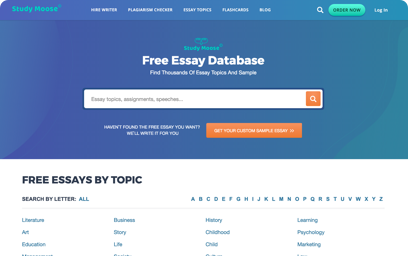 The reason why they are so popular among the people looking for online writing services is their staff always ready to help and the writers always ready to take any writing challenge. Their order processing system is transparent and they keep you updated with the status. They take every little bit of information into consideration with extreme care so that you get exactly what you are looking for. They also make sure that your order is processed quickly so that you get your dissertation completed on-time. Our parners’ customer service staff is available to help you anytime during the order process and after the delivery. Your queries and support request will be answered instantly so that you don’t have to wait for the response. Contact our recommended dissertation writing services for any query or order their service today.